Madeira Archipelago Madeira Archipelago is an awakening of thousand wills. You can enjoy the landscapes, gastronomy and culture, and can live moments of pure surprise and fun, practicing various activities along the, so magical, nature. At any time of the year, you don’t need to take special care when packing your bags... There is a pleasant and inviting atmosphere awaiting, with temperatures between 17o C in winter and 25o C in summer. Approximately located at 1000 km from the European continent and only 500 km from the African continent, this islands chain offers much to do. 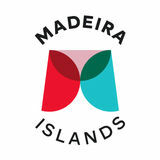 Madeira Archipelago has four groups of islands: Madeira, Porto Santo, Desertas and Selvagens, and only the two larger islands (Madeira and Porto Santo) are inhabited. Madeira Island, 57 km in length and 22 km in width, has an area of 741 km². The island of Porto Santo, 11 km in length and 6 km in width, has an area of 42.48 km². The other islands (Desertas and Selvagens) are natural reserves and because of that do not have cruise harbours. Apart from the cruiseships, the most common way to reach the archipelago is by plane at Madeira or Porto Santo airport. International flights are frequent and accessible from any major European city, in trips that never take too long, lasting on average about 3h / 4h. Portuguese mainland trip lasts no more than 1h30m, which makes Madeira a destination easily accessible. For its diversity and versatility, when reaching the archipelago there is a question that remains and enthuses: â&#x20AC;&#x153;What to do next?â&#x20AC;?. It is because this destination isnâ&#x20AC;&#x2122;t just for this or that specific public. This destination is for everyone, and offers not only awesome views, culture and tasty gastronomy, but also lots of opportunities to practice sports and activities, gives you the pleasure to enjoy nature and sea and provides you many unique experiencies. ...with the sky as the limit. A wonderful blue that almost merges with the sky and offers to all visitors unique and amazing opportunities that arenâ&#x20AC;&#x2122;t felt very often. With plenty to do, the Atlantic Ocean, where the archipelago is located, is an expert in providing unforgettable experiences to visitors, with a wide range of activities and tours that can make you relax or even experience good moments of adrenaline or just see some dolphins and whales in their natural habitat. ...at your own rhythm. Get ready to discover alive, colourful painting, full of moviment and surprise, so fabulous that are breathtaking. One of the biggest tourist attractions is the natural landscapes, that awakens all the senses and are impossible to forget. Because of this, Madeira is perfect for the more adventurous, giving them a huge range of outdoor activities to apreciate. One of the largest and most splendid scenery of the nature of this archipelago is the Laurissilva Forest, which was recognized by UNESCO as World Heritage of Humanity. ...with your heart full. There are moments which became bigger and more significant when shared with the right people, at the right time, in the right place. Madeira can be that place. Visit the Farmersâ&#x20AC;&#x2122; Market, take a ride in the traditional basket sledges, taste and enjoy a bit of Madeiran culture and cuisine and let yourself be carried away by the magic of the islands, and just relax. ...feeling your feet on the sand. If there are places that seem to have come from out of a dream, Porto Santo is undoubtedly one of them. This little paradise is located just 50 km away from Madeira, with a long and gorgeous golden beach covering nearly the entire southern coast of this fascinating island. Its calm, restful atmosphere and renowned therapeutic qualities are always waiting to be experienced and explored by you. With its iconic beach, Porto Santo has so much to offer. Discovering Porto Santo is to immerse oneself in a breathtaking location, at the whim of the waves. It is swimming in warm, transparent waters touching fine golden sand, and being overtaken by a sense of well-being. ...with a different perspective. The magic of the archipelago itâ&#x20AC;&#x2122;s on what it has to offer. Because of its diversified natural space, offers a wide range of activities that suit all tastes. It is possible to opt for something calmer that helps to relax, or for a more radical activity which triggers adrenaline. Canyoning | Levadas and Walking | Jeep Tours | Trail Running | Bike Tours | Stand Up Paddle | Surf | Windsurf | Whale and Dolphin Watching | Scuba Diving | Paragliding. Port Distances *Distances in nautical miles. *All vessels required to contact the local agent before berthing or slipping. Vessels over 200GT required piloying to enter and leave the port. People from Madeira have a true party spirit and are experts in the art of hospitality. To counteract their reputation of harmony and tranquility, there are various celebrations and a vast entertainment calendar throughout the year. Come, drink a â&#x20AC;&#x153;Ponchaâ&#x20AC;? (the traditional madeiran drink), relax and make the most of the events that fill the island with lots of colors, smiles and animation. Funchal Harbour Port of Funchal, as its name suggests, is situated in the capital of the archipelago, the city of Funchal. The port has a passenger terminal with optimal conditions to welcome with comfort, safety and quality the thousands of passengers who annually visit the region. Given its location, it has easy access to the city center, which provides cruise visitors the chance to get to know, in a short period of time, a little bit of Madeira. From the port is possible to enjoy na unique panorama of the city of Funchal, due to its amphitheater shape. Curiosities • The first loading bay of Funchal was built in 1762. • In 1885, the first Funchal Port is constructed, being finished in 1895. • Funchal became a regular port of call for the steamships that made the biweekly connection between Cape Town and Southampton, allowing the transportion of many British tourists to the island. • The geostrategic position of Madeira was a factor that attracted many ships to the island and ended up using the port of Funchal to crew rest and supply. • For decades and until World War II, Madeira was a crossing point of the great steamships because of its position in the center of the Atlantic, being an important port of call for the routes between Europe and the African and American continents. • Since 2005 the Port of Funchal was intended for cruise tourism. Cruiseships For sure a cruiseship port, with optimal conditions, comfort and safety accessibilities, that brings to the island many tourist in a magnificent environment surrounded by the blue of the sea and the green of the mountains. Mega Yatchs Madeira Island has centuries of history related to pleasure boats and sailboats. Madeiraâ&#x20AC;&#x2122;s geographic location in the Atlantic Ocean, is ideal for sailors who cross this ocean from all over the world, in order to get shelter, to rest, to replenish the ship, or just to get to know the natural beauty of the island in a pleasant visit. It is said that the first yachts to visit Madeira, anchored in the bay of Funchal and sought the city as a key point on the trade routes. In these business and leisure routes, the Archipelago of Madeira continues to be currently a preferred region to stop by, when travelling with yachts. Porto Santo Harbour Porto Santo harbour is located southeast of Vila Baleira, which is the main city of this Island, being just a few minutes away from it. Due to the proximity to the beach, it is possible for the cruise visitors to go for a quick swim in the amazing and warm waters of Porto Santo. Curiosities • Porto Santo was the first Island of the Archipelago to be colonized. • The name Porto Santo, was given by the navigators who found shelter at the island during a big storm, back in the days. • Porto Santo harbour has all the conditions to receive cruise ships. • Porto Santo harbour allows easy berthing of ships and is equipped with infrastructure able to provide various types of required services. • The harbour is located around 3km from the city center of Porto Santo.